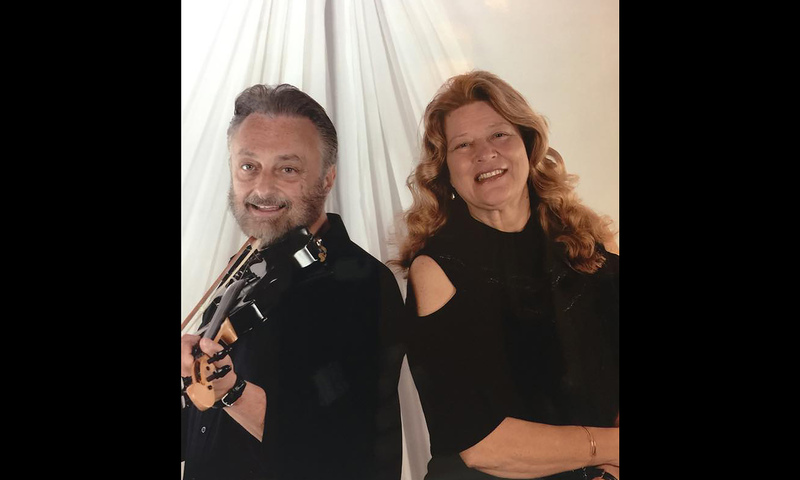 Blackjack is a variety duo that has worked full time in the music industry for over 25 years. They are able to perform an entire night of new and classic country or classic rock and a whole evening of 50’s and 60’s music too! Instrumental cocktail sets including jazz style tunes are also available upon request, or they are a great main stage event! Watching Jimmy is like watching a magic show on musical instruments and with their combined humor and vocals, it makes for a entertaining show. Melanie is a very vibrant, engaging vocalist who has extreme versatility in her vocal styles. She is able to go from a clean, pure sound to a harsher, bluesy sound without effort. Melanie was chosen to sing the National Anthem regularly on nationally televised Baltimore Orioles games. She recorded a CD in Nashville and was fortunate to have the music video from her single “The Note” aired on CMT. The video provided Blackjack with the opportunity to make several television appearances on Nashville Shows. Jimmy has made a name for himself as a utility player on three instruments. Steel guitar player on the Grand Ole Opry, played guitar for Dan Aykoyd doing the Blues Brothers, and featured performer on the fiddle in the award winning production show “Extreme Country” and “8 More Seconds”. He has performed his own main stage theatre show as a fly on entertainer on cruise ships. He was also chosen to have a role in the movie “Sweet Dreams”, a movie about the life story of Patsy Cline starring Ed Harris and Jessica Lange. The Blackjack duo is arguably one of the best and most versatile duos in the country and would be an asset to any venue.